Ask Las Vegas City Council to Support the Iconic Showgirl Museum! Las Vegas, Nevada – The city’s historic mascot, the iconic Las Vegas showgirl, may have disappeared from its stages, but the world’s only showgirl museum is ready to show that it is an entity that has legs – and long-standing ones, at that. Grant Philipo’s Las Vegas Showgirl Museum is looking to expand into a 65- to 70,000-square foot venue that can accommodate its collection of 30,000 artifacts that includes more than 1,000 mannequins adorned with the gorgeous costumes of the great Las Vegas extravaganzas, the value of which is so great that it can’t even be determined and has been deemed “priceless.” Just 100 pieces of the collection were appraised at $15 million. Many of those artifacts are currently residing in four different warehouses in Las Vegas. For more than two years Grant Philipo's Las Vegas Showgirl Museum has been in conversations with Mayor Carolyn Goodman and City Planners to relocate their collection of over 30,000 artifacts into the original home of a Mormon Church on Las Vegas Blvd, currently known as The Reed Whipple Building. In November of 2016, the museum, along with a few others, made a formal proposal for the building and have waited for a response, which they have been told will come in June of this year. Please sign this petition to urge Las Vegas City Council to allow the Grant Philipo's Las Vegas Showgirl Museum to make the Reed Whipple Building its new home! Help preserve the legacy of these iconic women! The heart of Las Vegas rests within its amazing entertainment history, found within Grant Philipo’s Las Vegas Showgirl Museum. But home is where the heart is, and all involved in this project are hoping that a venue is in its near future. 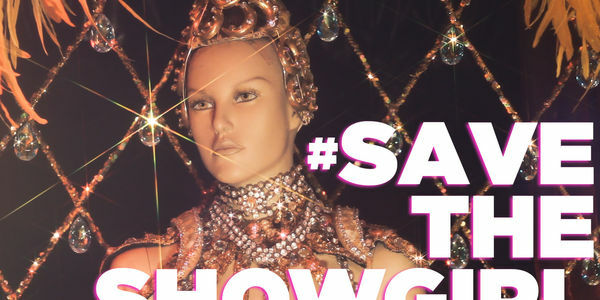 The destiny of the history of the showgirl is in the City Council’s hands!